The death of a popular senior federal minister of India in a road accident in Delhi is certainly painful news for everyone in India. Unfortunately, the accident happened, when his car was not even moving and was waiting at a traffic signal for the signal to change to green from red. Exact details of what really happened are not known. But what appears from the scanty new reports is that an Indica car hit the car in which the minister was sitting on the same side of the car, where the minister was seated. There were other occupants also in the car, but they somehow all escaped unhurt. It appears that when the impact came, the minister lurched towards the other side for a moment and then recovered. He must have instantly felt something wrong inside him because he asked for a sip of water and said that he should be carried to a hospital immediately. Obviously something major was wrong with the minister, because within next few minutes, he passed away. All attempts made at the hospital to revive him failed and he was declared dead. According to the federal health minister of India, "He suffered cervical fractures and the oxygen to his brain and lungs may have been cut off. His liver was ruptured and he lost one, two litres of blood,"
There are couple of minor details, which become very relevant now. 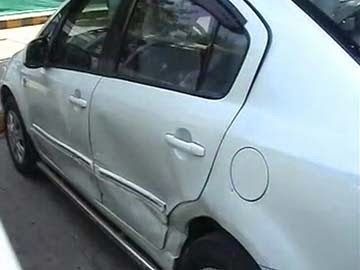 Firstly, the car in which the minister was sitting was a Suzuki SX-4 sedan, supposed to have a proper side impact protection built in and secondly it is a much heavier car than the Indica car which caused the hit. The photograph showing the damage caused by this accident clearly shows that the impact was not so severe at all so as to cause death of the occupant of the impacted car. These small details bring out one important and relevant question about this grossly tragic incident; was the minister wearing a seat belt? I am forced to make a presumption here that the minister in all probability was not wearing a seat belt for the simple reason that no one in India does that, at least when seated at the rear of the car. If the deceased minister would have been wearing a seat belt, we can safely assume that he would have been adequately protected from the impact and that would have saved his life. That brings me to the main subject here; why are we so much apathetic or indifferent to any matter of road safety, when we are fully aware, that the end result could be deadly. Firstly let us consider the case of four wheelers. Use of seat belts by occupants seating in the front seats of the car (that includes the driver) is mandatory as per law. Though, I have seen many drivers neglecting this simple safety measure. They would put on their belt, only when they know that there would be a police presence nearby and do not consider it doing for their safety. 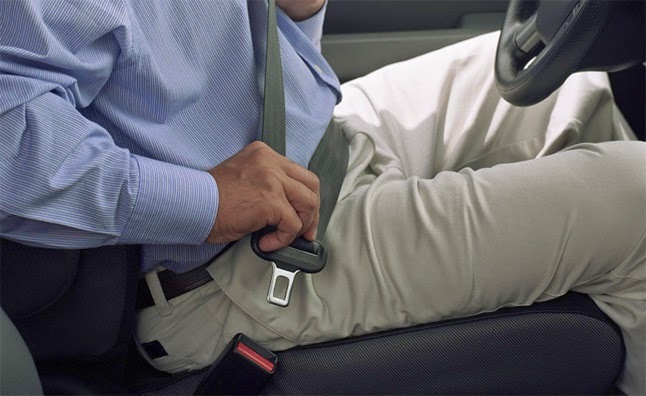 Many times, reasoning is made out that the Indian roads are so bad that one is forced to drive very slowly, which negates any requirement of safety belts. Nothing can be more far from truth. Firstly not all roads are bad and secondly, the new generation of vehicles that are on roads in India today, have engines that are capable of accelerating very fast. This means that in event of an accident when you are accelerating, the impact can prove to be very deadly even when average cruising speeds might work out to be much slower. Luckily, four wheeler drivers in India tend to obey the laws to a much greater extent compared to their brethren on two wheelers. When we talk of two wheelers, the abuse of law or misuse of vehicles is so commonly prevalent that I do not know where to start. I think that most of the two wheeler riders in India take a certain pride in bending the rules in their own way. Carrying an infant in hands, while seating on a pillion seat; three or even four riders riding on a two wheeler; carrying a rider on the petrol tank of your motor bike or making him stand in front of the driver on a scooter, the list is almost endless. In all such cases, everything is fine till there is an accident. The readers can well imagine what the outcome is likely to be if unfortunately there is an accident. Refusing to wear a helmet, while riding a two wheeler, is so much common in my home city Pune, that most of the people (including the policemen) have almost stopped thinking about it. Everyone knows that for a person riding a two wheeler without a helmet, the chances of survival are minimal in the event of an accident. Yet for some unexplainable reasoning, people simply refuse to wear them. The transport authority in Pune has recently made it compulsory for everyone giving a driving test to wear helmets; a welcome step indeed. Coming back to four wheelers, I feel that transport rules in India definitely need to have one change after this incident involving the federal minister. We need to have a rule (such a rule might already be there, who knows?) which says that just like the front seat occupants, the rear seat occupants too must belt up. It is for their own safety. If such a rule already exists, it should be implemented as is being done for the front seat occupants.